Cyber Security Hub helps businesses extend their audience reach by promoting, creating and marketing cyber security content online. Our digital sponsors include some of the leading cyber security providers in the world. Contain risk, embrace change and elevate trust –together with AT&TAs the world’s largest integrated communications provider, AT&T enhances your networks, infrastructure and devices with managed cyber security products and services to help your business be highly secure. This includes a rich ecosystem of cyber security technologies and partnerships, global oversight, and threat intelligence. Together, we can help you contain risk, embrace change, and elevate trust —without talent constraints, operational complexity or technology bias. LastPass is an award-winning password manager that helps individuals, families and businesses of all sizes organize and protect their online lives. It is a simple and secure tool that supports all browsers, platforms and mobile devices. Plus with centralized admin control, it reduces the risk of data breaches and removes password obstacles for many businesses. OneTrust is the largest and most widely used dedicated privacy management technology platform used by more than 2,000 customers, including 200 of the Global 2,000, for compliance with global data privacy regulations, including the GDPR, CCPA, ePrivacy and more. OneTrust helps organizations implement global privacy requirements, including Data Protection by Design and Default (PbD), Data Protection Impact Assessments (PIA/DPIA), Vendor Risk Management, Incident and Breach Management, Records of Processing (Data Mapping), Consent Management, Cookie Consent Banners, GDPR Data Subject Rights and CCPA Consumer Rights. To learn more, visit OneTrust.com. Proofpoint is a leading cybersecurity company that protects organizations’ biggest risks and greatest assets: their people. With an integrated suite of cloud-based threat, information and user protection solutions, we help organizations around the world mitigate their most critical security and compliance risks. More than half of the Fortune 100 trust us to stop targeted threats, safeguard their data, and make their users more resilient against cyber attacks. No one protects people, the data they create, and the digital channels they use more effectively than Proofpoint. 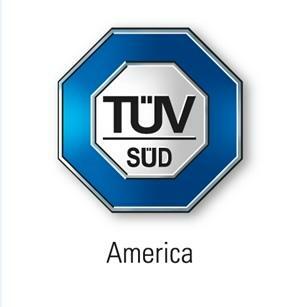 TÜV SÜD America Inc. is a business-to-business engineering services firm providing international safety testing and certification services. "Choose certainty, Add value," highlights our commitment towards continually increasing the safety and productivity of our clients, their services, and offerings. Delivering innovative Enterprise Privileged Password Protection combined with proven Endpoint Security and Application Control for Windows and Unix. Unlike any other security offering, Thycotic solutions assure the protection and control of your privileged accounts while being the fastest to deploy, easiest to use, scalable enterprise-class solution offered at a competitive price. TraceSecurity is a leading provider of cybersecurity and compliance solutions that help organizations of all sizes reduce the risk of cyber breaches and demonstrate compliance. With a combination of software and services, TraceSecurity can help organizations manage their information security program and supplement it with third-party validation.